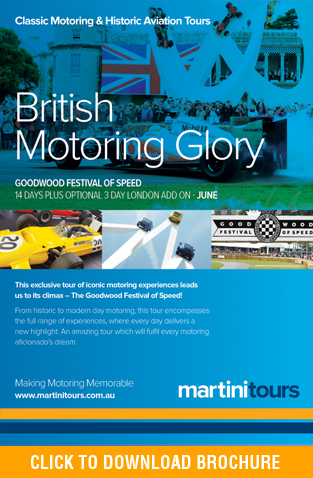 Experience the flavour and vibe of Britain’s place in the world of motor racing, culminating in the amazing and iconic Goodwood Festival of Speed. This festival celebrates the history of motor sport from inception through to present day. Goodwood has become the one global gathering place for everyone who is interested in motor sport. Immerse yourself in all eras of two wheel and four wheel racing legends. 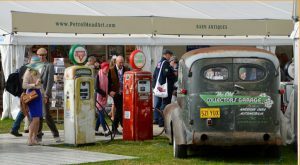 You’ll enjoy the magnificence of the Goodwood Estate and the chance to rub shoulders with many of your motor racing heroes and get close to their glorious and priceless machines. Enjoy exclusive access to one of the world’s leading Formula 1 race teams, where we have been granted private access to see what happens behind the scenes and – and if that’s not enough – spend the rest of the day at the wheel of your own single seater, driving the Silverstone circuit! Get close to the Donington Grand Prix Collection. Based in Portsmouth for a few days, take the chance to walk in the footsteps of Nelson as you climb aboard HMS Victory, and wander through centuries of history including the extraordinary display of Henry VIII’s flagship, the Mary Rose. 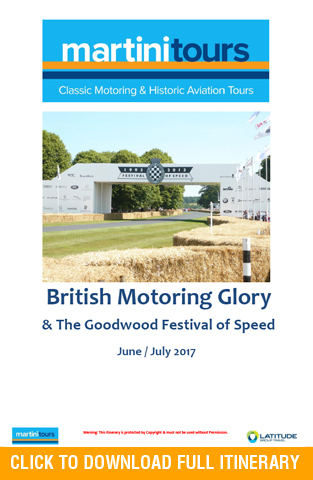 Visiting England’s significant motor museums at Beaulieu and Brooklands, rounds out this carefully crafted itinerary. This is an amazing tour which will complete every motoring enthusiast’s wish list.